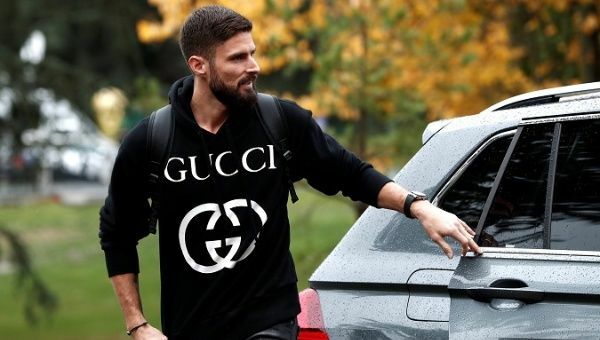 16 Nov 2018 – Chelsea striker and winner of the FIFA World Cup in Russia, Olivier Giroud, thinks it is “impossible to be openly homosexual in football,” and that sports, in general, has a long way to go before homosexuality can be openly accepted, Giroud told Le Figaro. In early 2014, German international player Thomas Hitzlsperger publicly came out in one of the most well-known cases of a football player being recognized as gay, and which was only done after he was retired from the sport. “When I saw Thomas Hitzlsperger come out back in 2014, it was very emotional,” Giroud said. “At that time I thought it was impossible to be openly homosexual in football,” Giroud highlighted, before remembering some of the efforts made in football to fight against this kind of discrimination. The Chelsea striker has taken part in some of the campaigns in favor of LGBTQ+ rights. Efforts from the English Premier League (EPL) to fight against discrimination based on sexual orientation go a little bit further than just wearing shoelaces representing the colors of the LGBTQ+ flag one day of the year. On Thursday, the EPL directive stated that the Rainbow Laces campaign for the 2018/2019 season will go from Nov. 30 to Dec. 5, adding that this year the rainbow colors will not only be on shoelaces, but also in other places in the pit, like the corner flags, the replacement announcement board, and on the captain’s armbands. “In the dressing room, there is a lot of testosterone, teasing and collective showers. It is delicate but it is what it is. I can understand the pain and the difficulty for guys coming out. It is a real challenge and it takes years of self-work,” explained Giroud during his interview.